DOVER, Del. 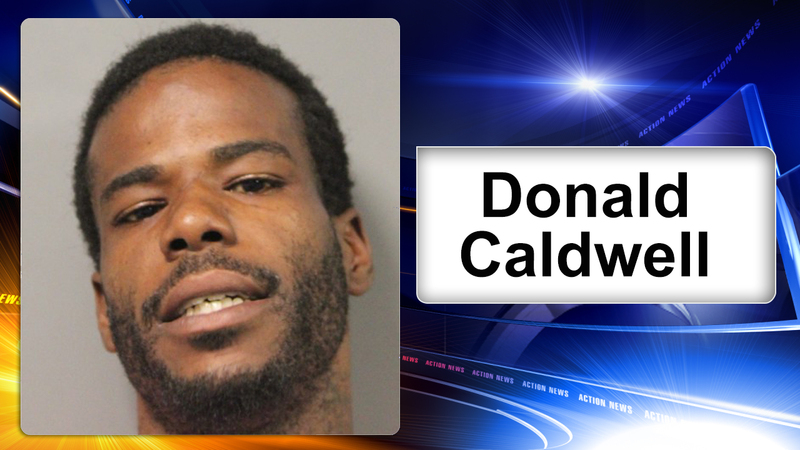 (WPVI) -- Police are seeking the public's help in locating a man accused of breaking into a day care facility in Dover, Delaware. Thirty-year-old Donald Caldwell is facing charges including burglary in the 3rd degree and criminal mischief. The incident happened Tuesday between 6:30 p.m. and 8 p.m. at Cindy's Day Care, located on the 800 block of Forest Street. Police say video surveillance shows Caldwell entering the business, breaking into an office and ransacking the facility. Employees had already left the building when the incident occurred, police say. No injuries were reported. Anyone with information is asked to contact the Dover Police Department at (302)736-7130. Tips can also be submitted at 1-800-TIP-3333, online at http://www.tipsubmit.com or through the Dover Police Department MyPD Mobile App.